Welcome to the greatest adventure of your life! 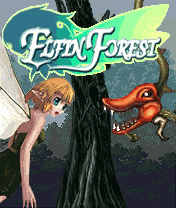 In this game you will control a little Elf princess who got lost in a magical forest. As any youngster she was thirsty for adventure and ventured far into a forest she should never have entered. Now she is alone in a looming forest full of dangers and does not know which way to go to to get home. The game features a Random game mode, where a new map will be generated each time you play, ensuring a neverending amusement! All the times of the year happen in one day in the magical forest! Four breath-taking settings will make playing Elf in Forest an unforgettable experience for the whole family. "Highly addictive gameplay, Great background graphics"